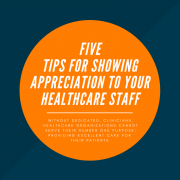 Time – clinicians seem to have less and less of it these days. 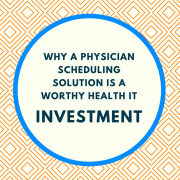 Scheduling staff every month in a healthcare organization shouldn’t make that problem even worse. 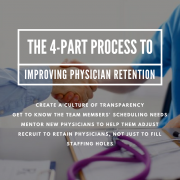 The industry needs a break from the spreadsheets and clogged email inboxes, and physician scheduling software can be just the respite clinicians and administrators need, offering efficiency and ease of use. 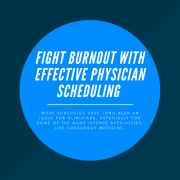 There continues to be a battle between physicians and most of the technologies they deal with on a daily basis, and some studies have even noted it as a possible contributor to burnout. 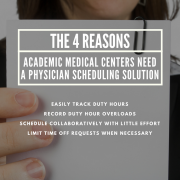 Many physicians complain that the systems are ineffective and difficult to understand, causing them to waste precious hours trying to input or update patient data. 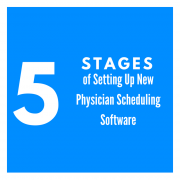 Really great scheduling software puts the clinician and their time first, so that they can do the same for their patients. 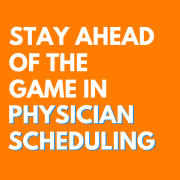 That means the scheduler is able to centralize all of their scheduling tasks in one platform, communicate instantly with their team members when necessary, and that everyone has easy access to schedules on web or mobile, for starters. 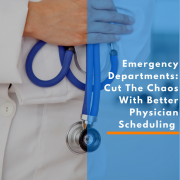 Scheduling software is already helping leading hospital systems across the country to not only create schedules that allow clinicians to have and maintain a work/life balance, but even to save thousands on labor costs, and boost Press Ganey scores. 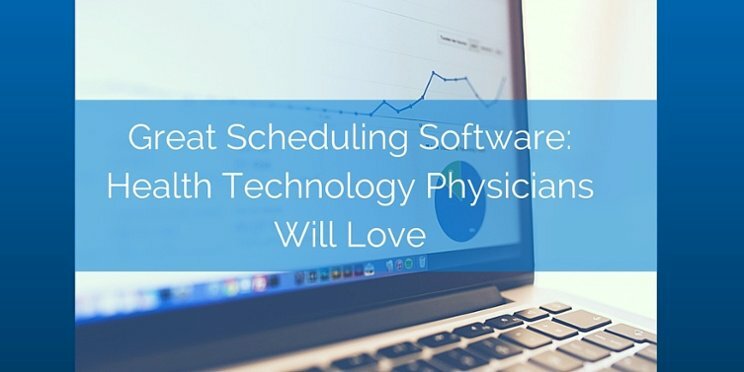 Some may not expect or believe that optimizing staff schedules is such an important investment, but when an organization finds software that can interpret and coordinate their various shift types, hours, locations, and clinical roles into a cohesive schedule that satisfies nearly everyone, productivity and patient care are bound to improve. Attending HIMSS 2016? Stop by booth #11112 in Hall G to learn more!